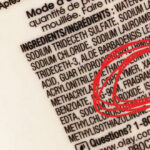 The $50 billion personal care product industry in the United States is largely unregulated.The U.S. Food and Drug Administration does not have the authority to test cosmetics product ingredients before they are marketed, unlike other products it regulates like pharmaceuticals. 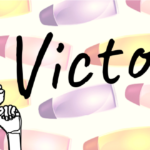 As a result, products such as baby shampoo, lipstick, lotions, and nail products often contain chemicals linked to cancer, birth defects, infertility and other chronic diseases. 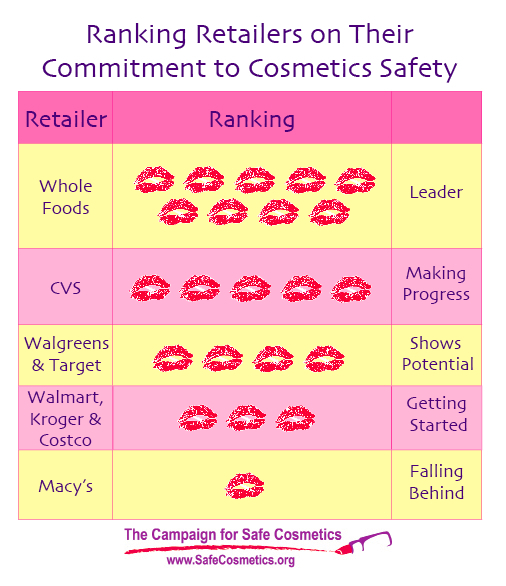 Retailers that sell these products become the de facto gatekeepers of safety: Do the companies allow products with harmful chemicals to be sold in their stores? Do they promote and expand the sales of safer alternatives? And do they help their customers understand their stores’ commitment to health and safety? This report looks at the policies and practices of some of the largest retailers in the United States to begin to answer these questions. 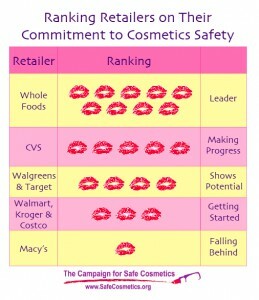 Through direct communication with the companies, searches of their websites and corporate responsibility reports, and in-store shopper surveys across the country, the Campaign for Safe Cosmetics provides a snapshot in time of retailers’ progress toward meeting the growing consumer demand for safer cosmetics.